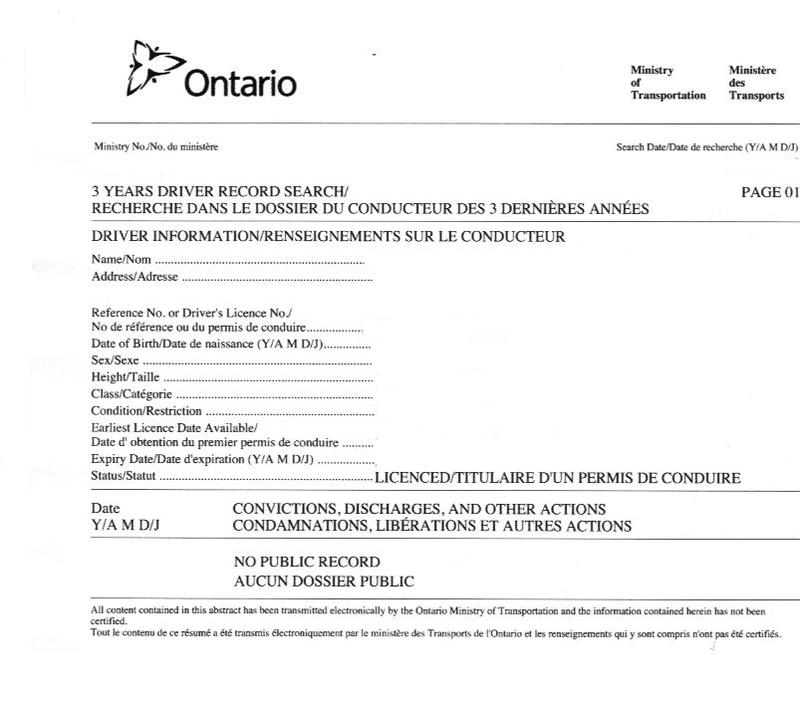 The drivers abstract is a three (3) year statement of the drivers history with the Ontario Ministry of Transportation. Any convictions, suspensions and licence reinstatements within the last 3 years. Any demerit points applied against the licence.